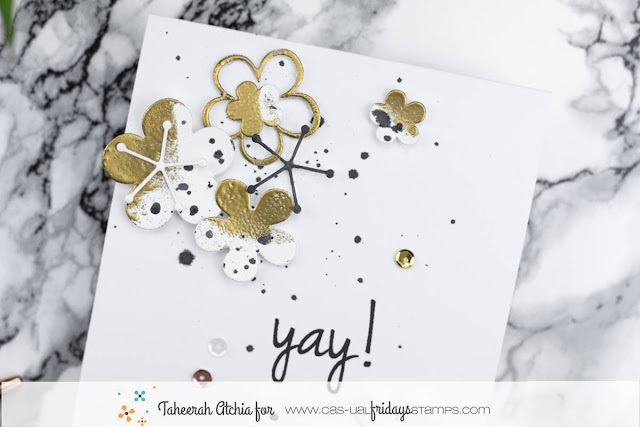 CAS-ual Fridays Stamps: Yay for a Cascade of Golden Flowers! Yay for a Cascade of Golden Flowers! What would you say to golden flowers? 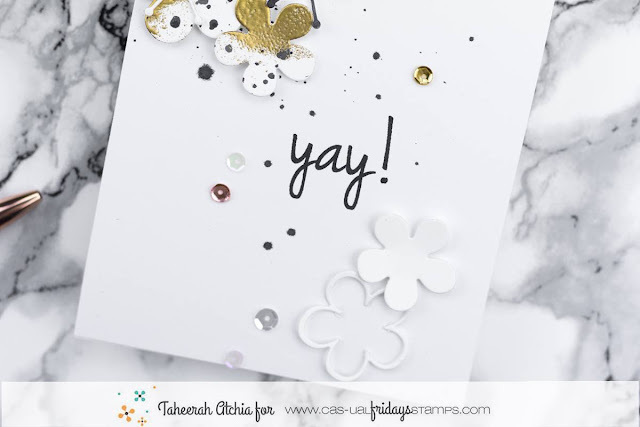 will have you exclaiming Yay when you see her card! 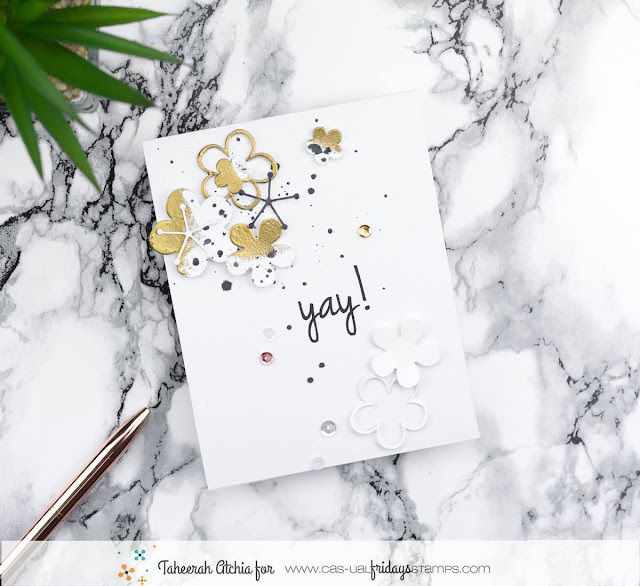 Gold embossing powder and randomly cut flowers equals super awesome golden flowers! I love the dark splatters and the randomly placed sequins! Isn't it pretty how she cascades the flowers down the front of the card? I also love the completely white flowers at the bottom. This card is so pretty and fresh. Would make a great birthday, bridal or even graduation card!